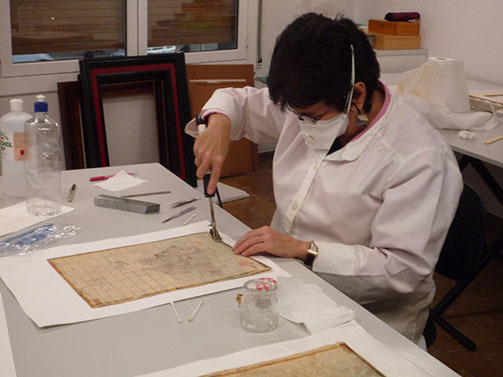 Estudi B2 is a small business dedicated to the conservation of cultural heritage. 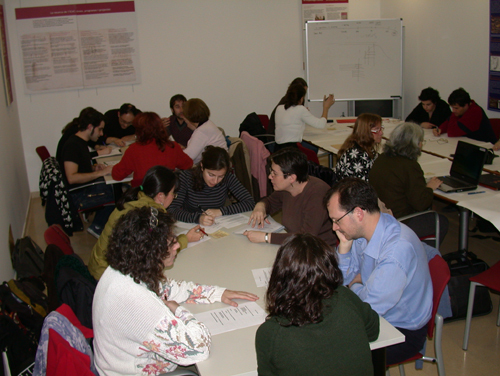 Since 1998, the company led by Carme Bello and Àngels Borrell offers high-quality services based on their broad experience both in the professional as in the teaching area. 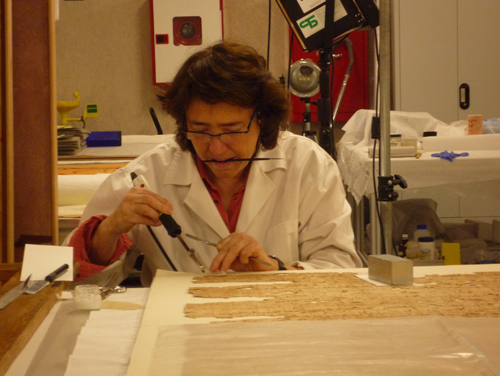 Estudi B2 consists of a multi-disciplinary group of specialists in conservation/restoration and other areas related to cultural heritage and offer their services both to private and public institutions. 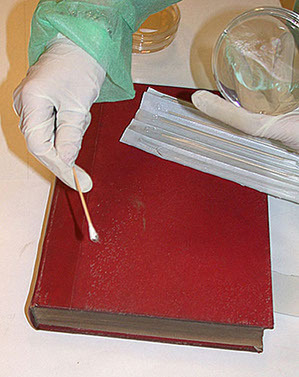 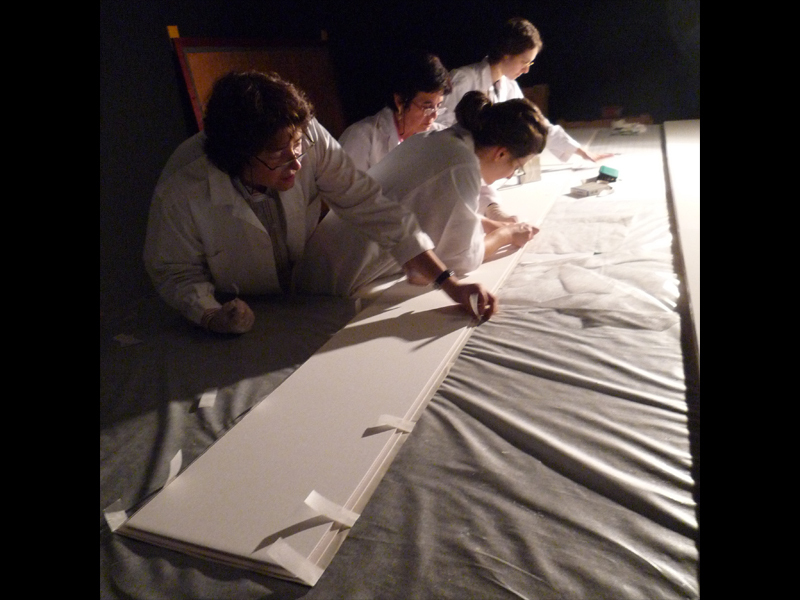 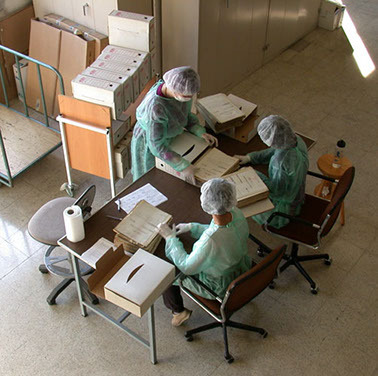 • Training courses and conferences on the conservation of collections, handling, protection systems, etc. 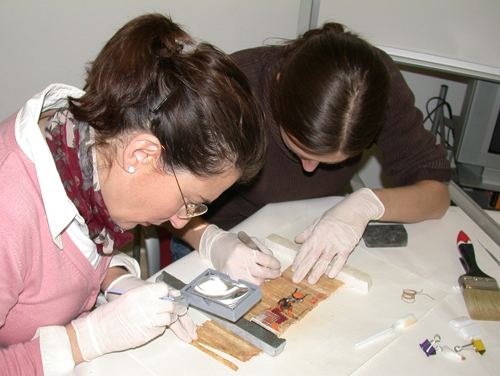 • Practical and theoretical courses for professionals in conservation-restoration. 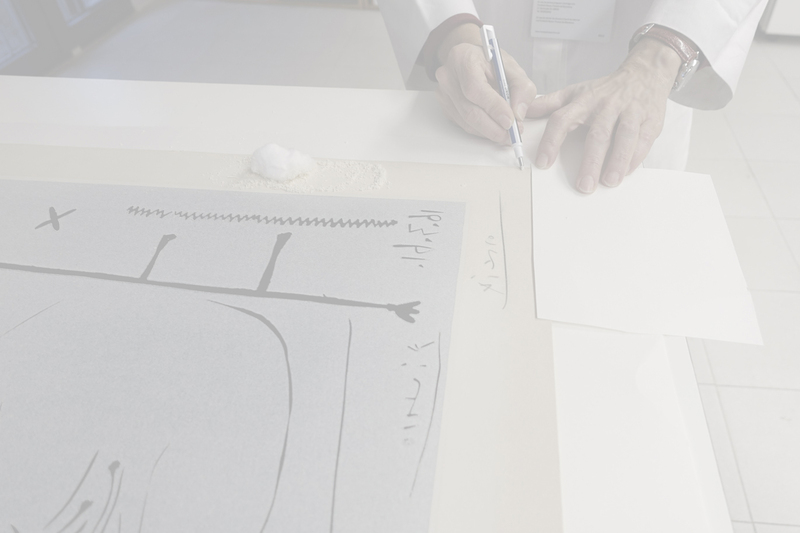 • Collaboration in master studies of museology, archival science, papyrology, paleography, etc., for at workers and managers of cultural heritage. 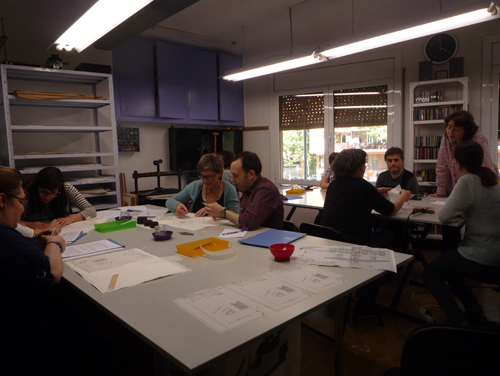 • Estudi B2 collaborates with the Escola Superior de Conservació de Catalunya, the Universitat Autònoma de Barcelona and the Associació d’Arxivers de Catalunya. 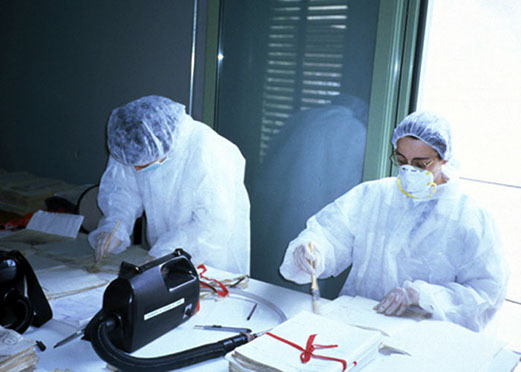 • Evaluation of situation in case of a disaster (fire, flood, pests). 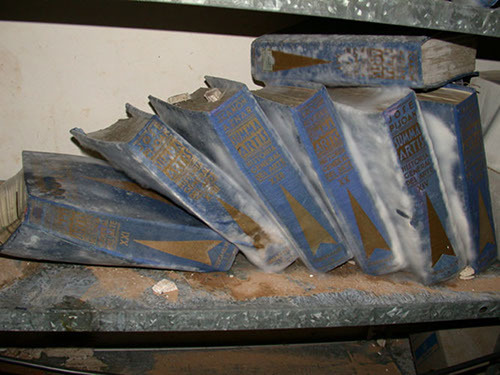 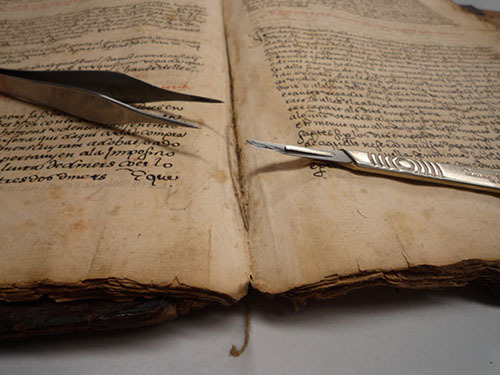 • Development of action plans and recovery of cultural heritage affected. 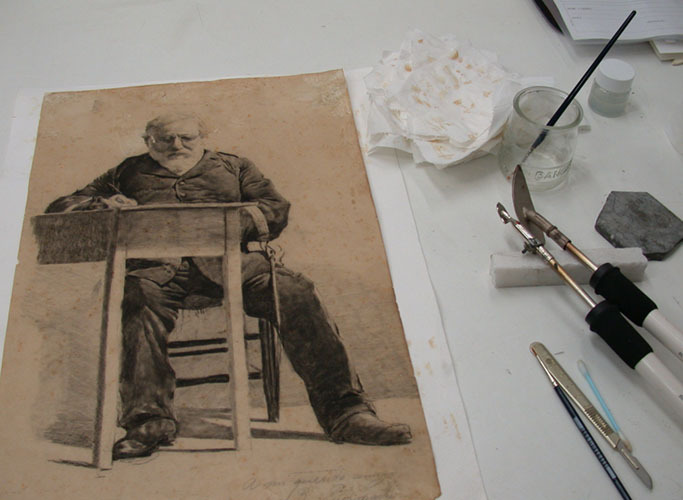 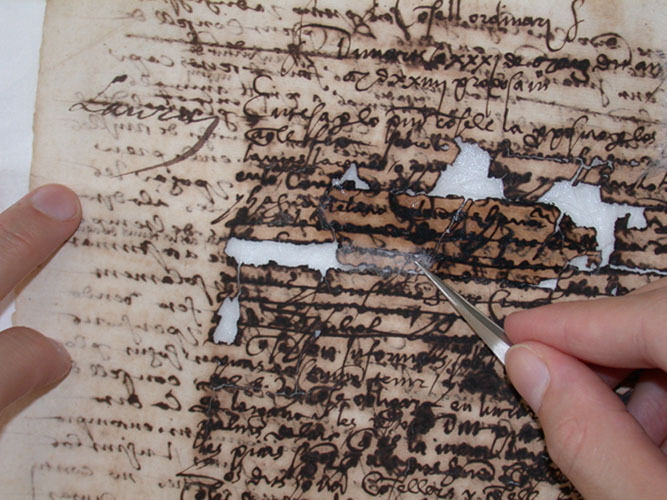 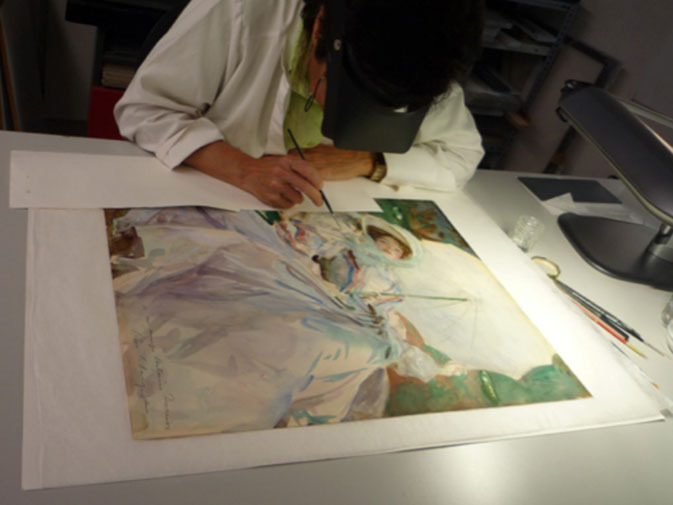 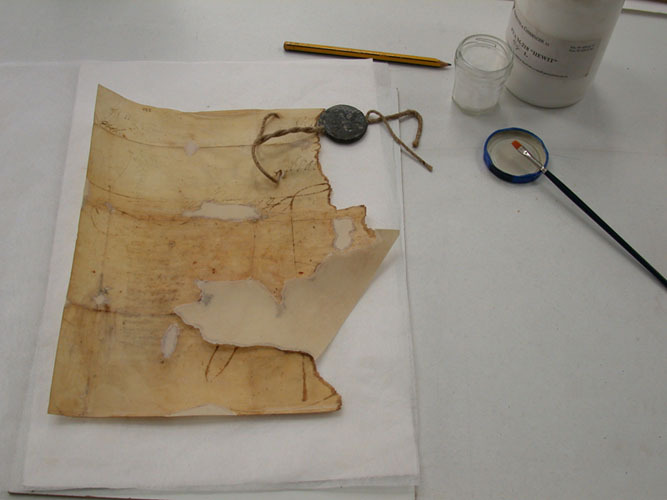 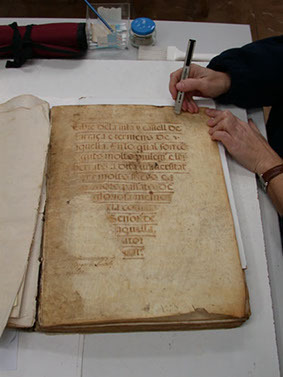 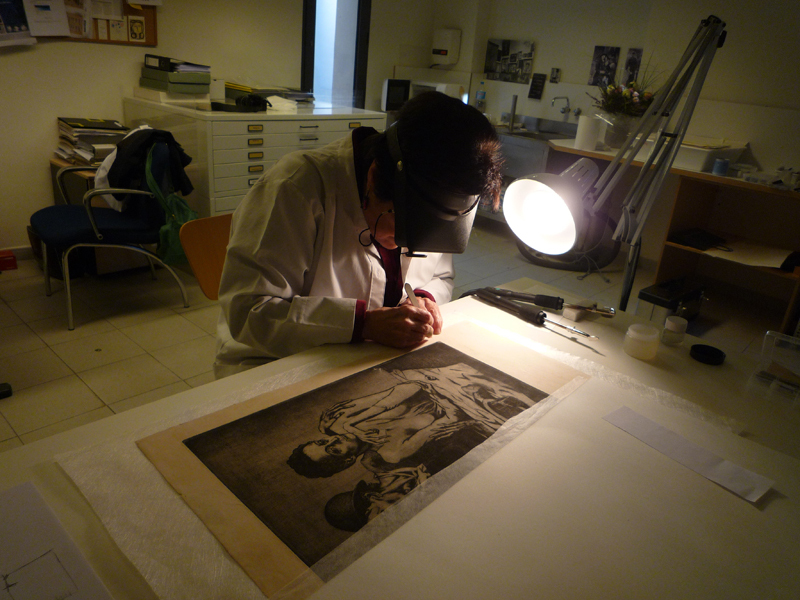 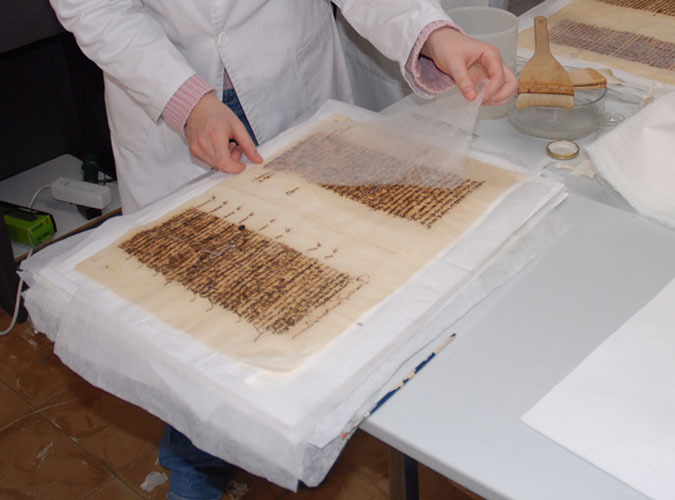 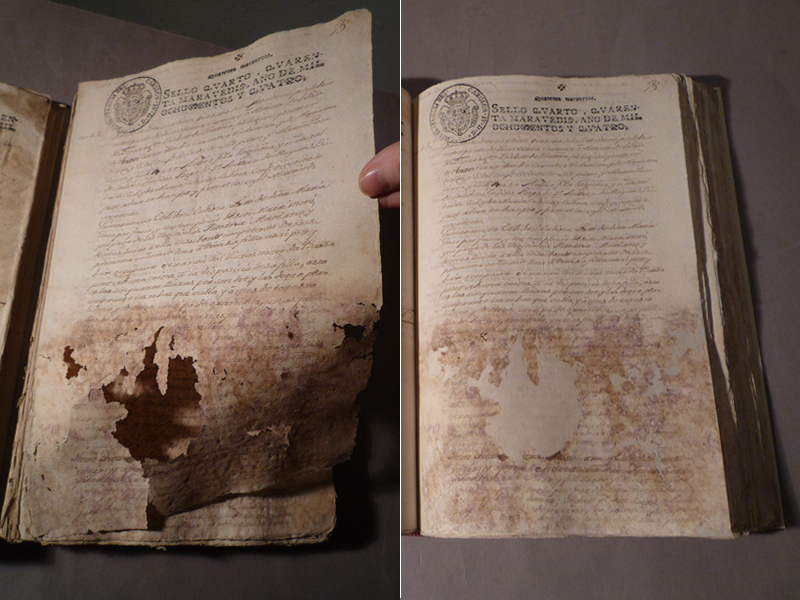 • Assessment and revision of the conservation status of the collections, with special attention to the degradation that can be a threat to the integrity. 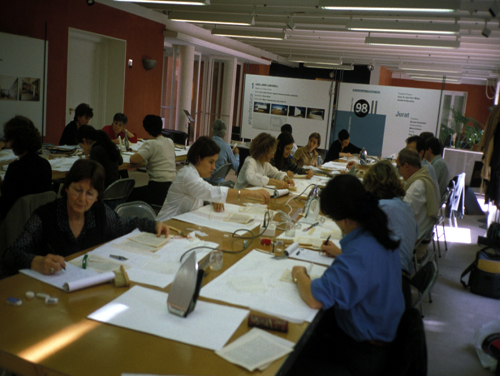 • Evaluation of buildings, deposits and exposition halls. 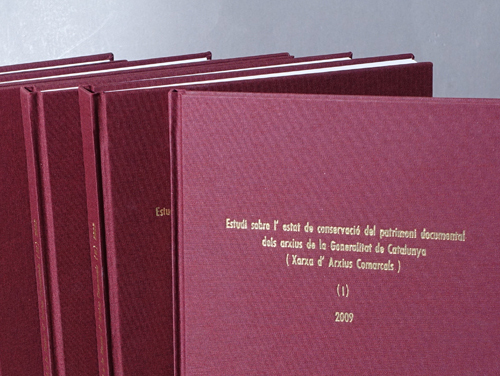 Revision of security systems, installations, furniture, etc. 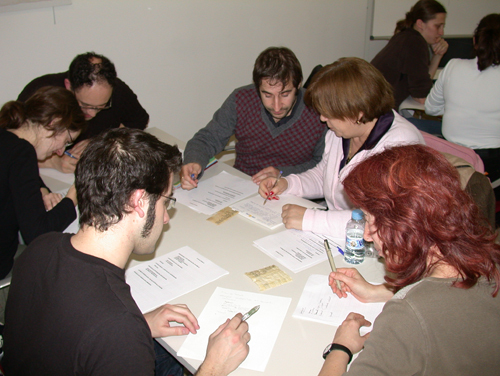 • Proposals in order to solve problems detected, establishing priorities in the event if necessary. 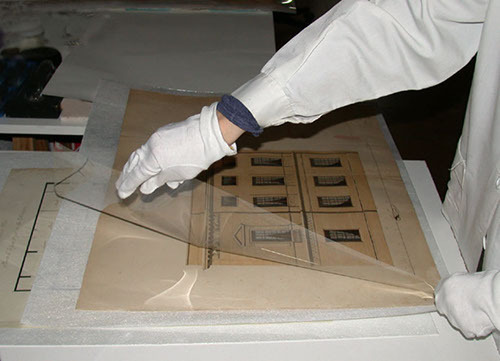 • Audit of architectural projects for museums and archives. 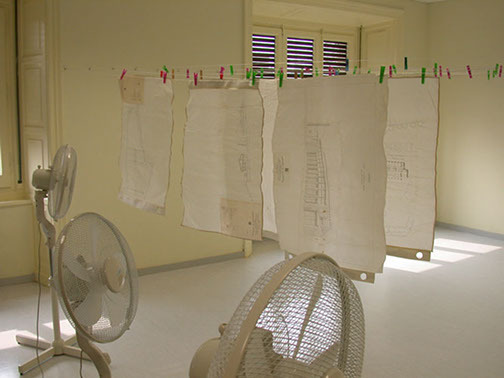 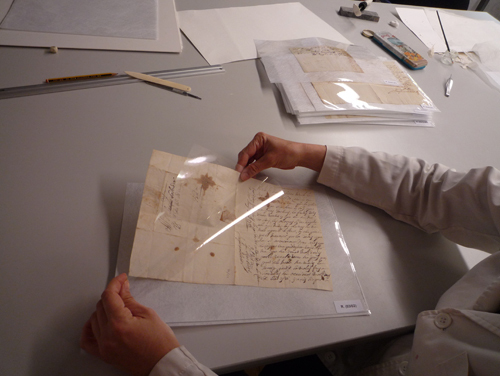 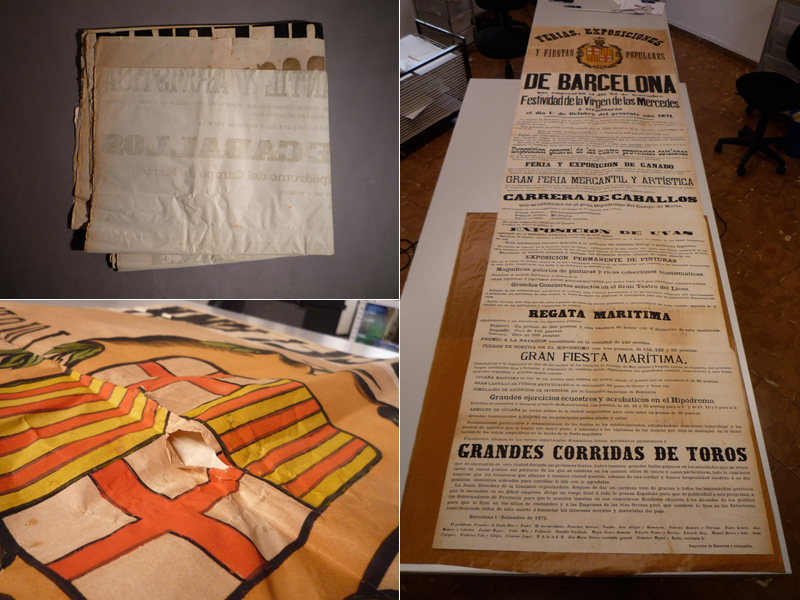 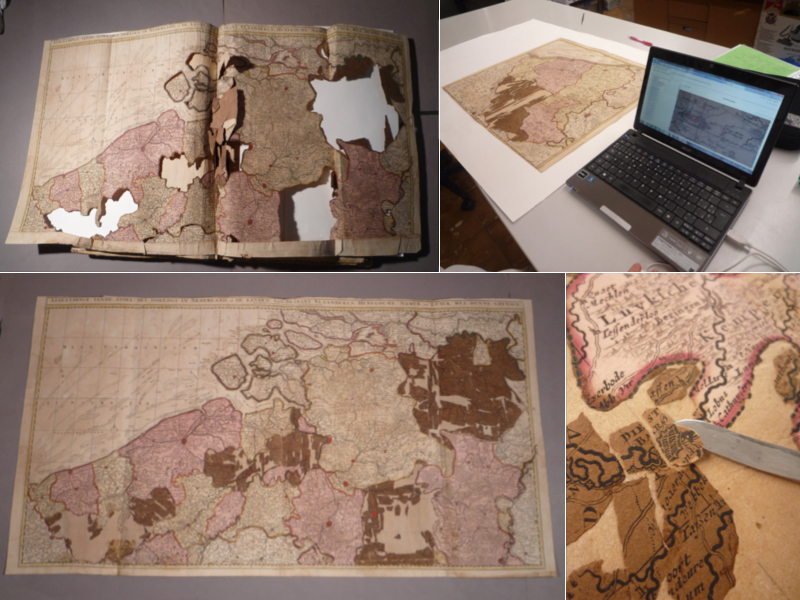 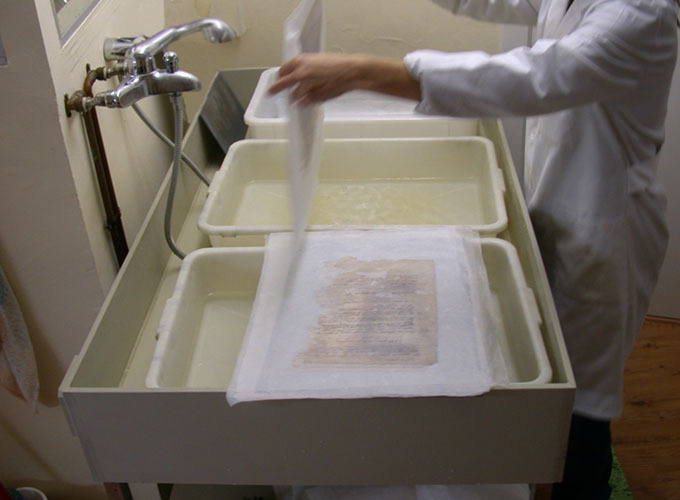 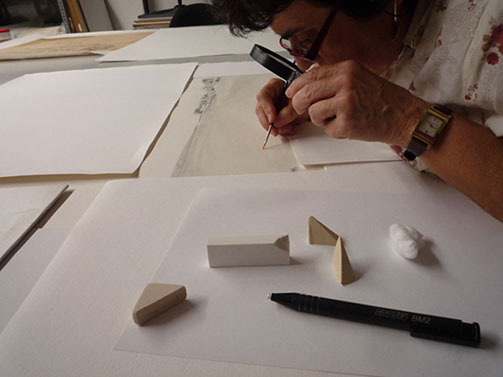 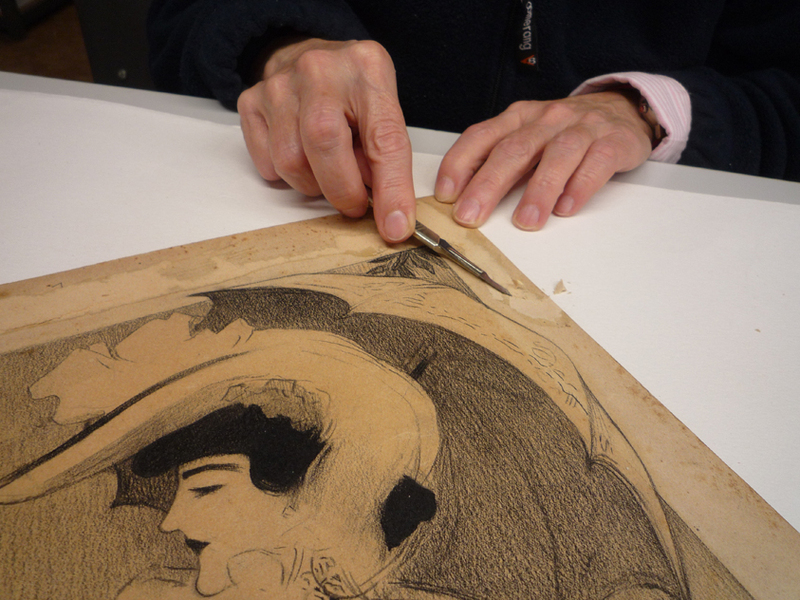 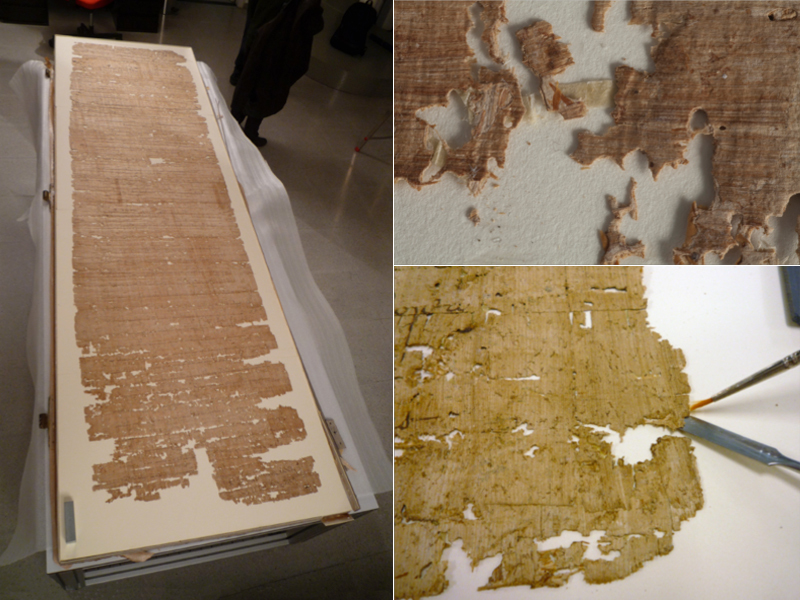 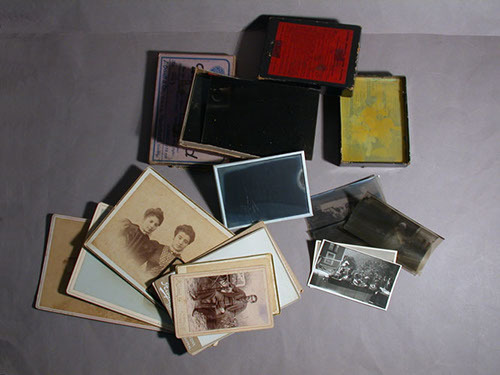 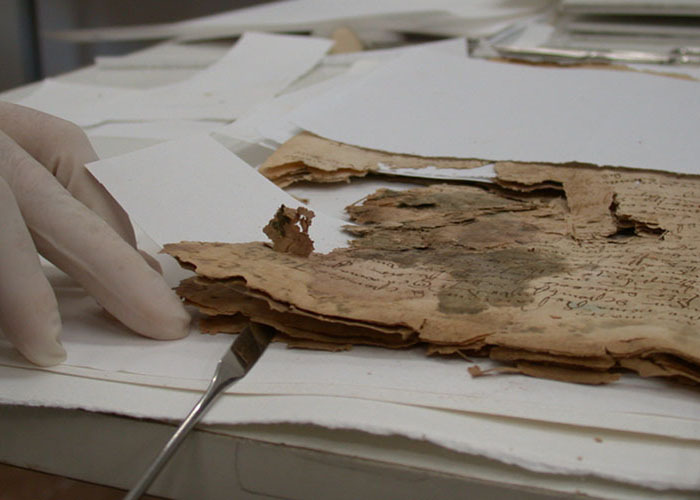 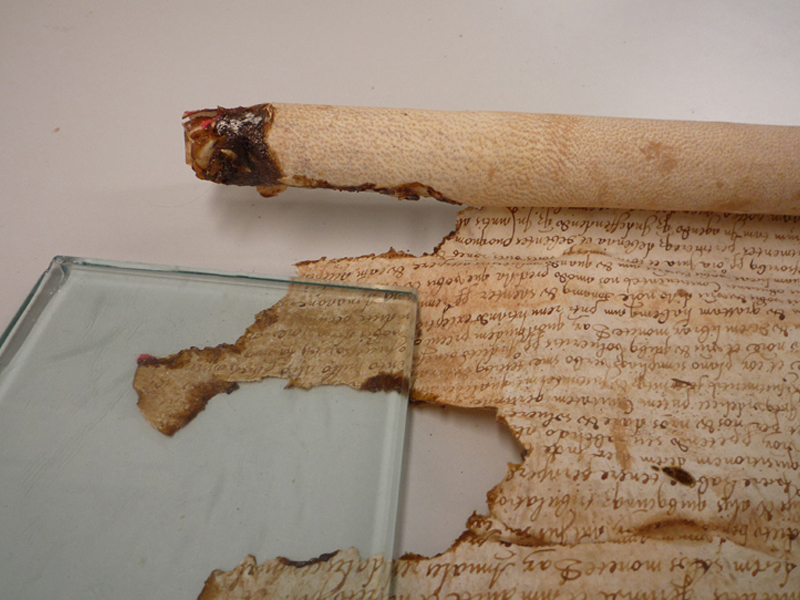 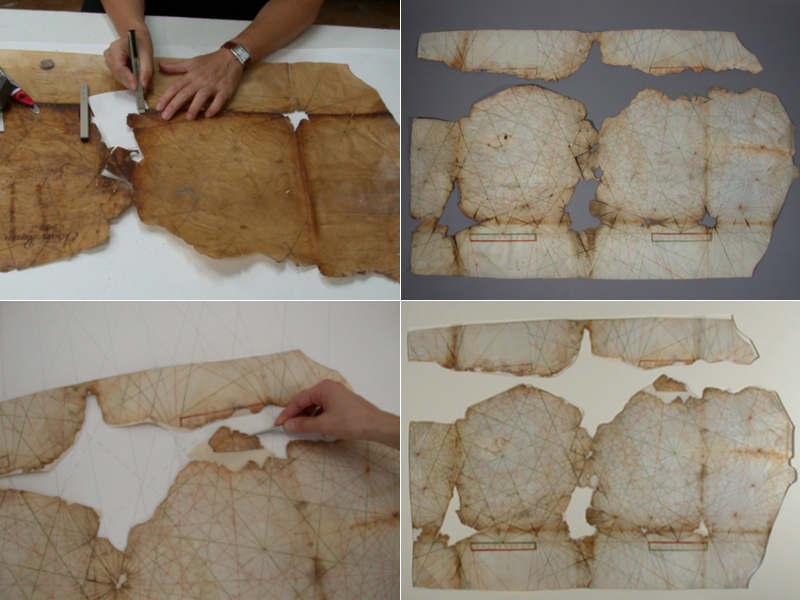 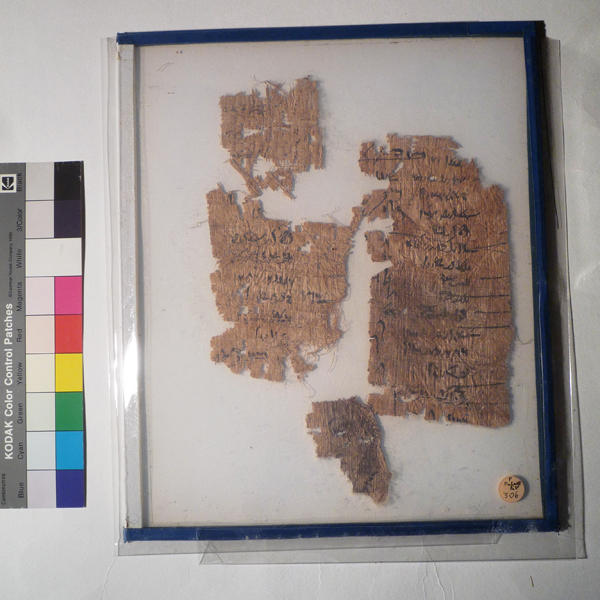 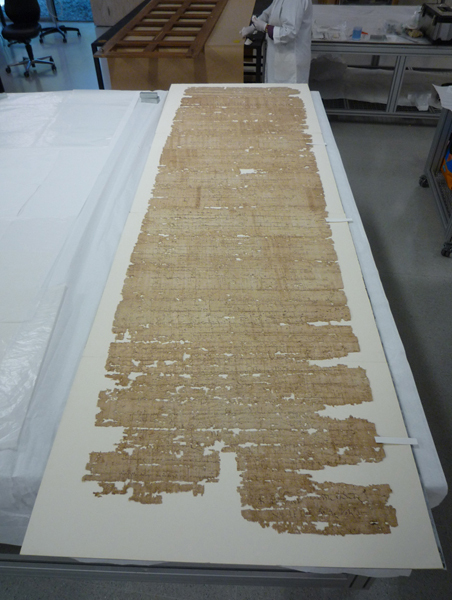 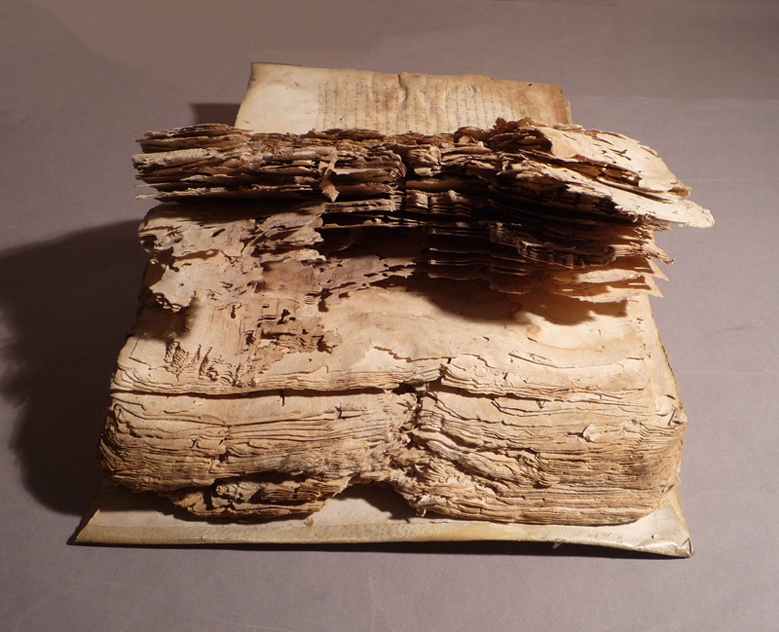 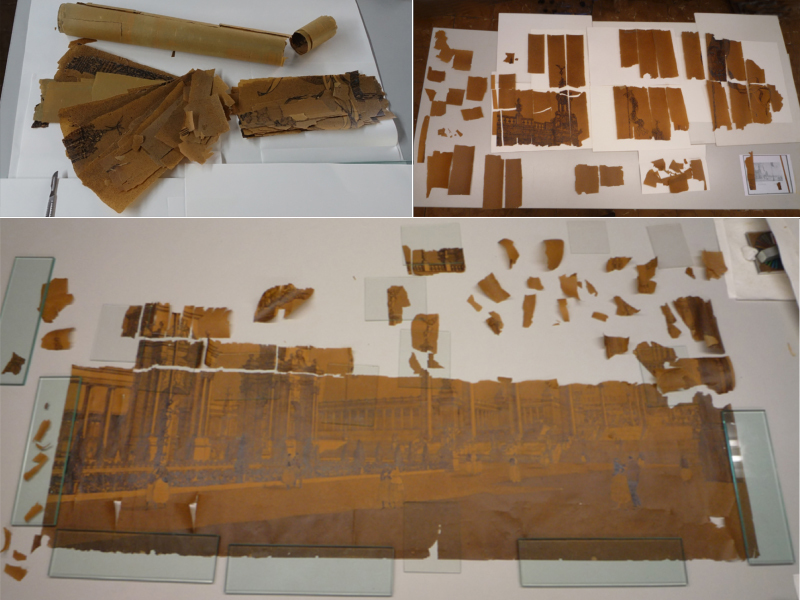 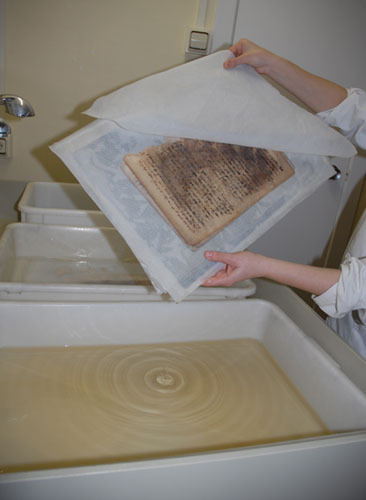 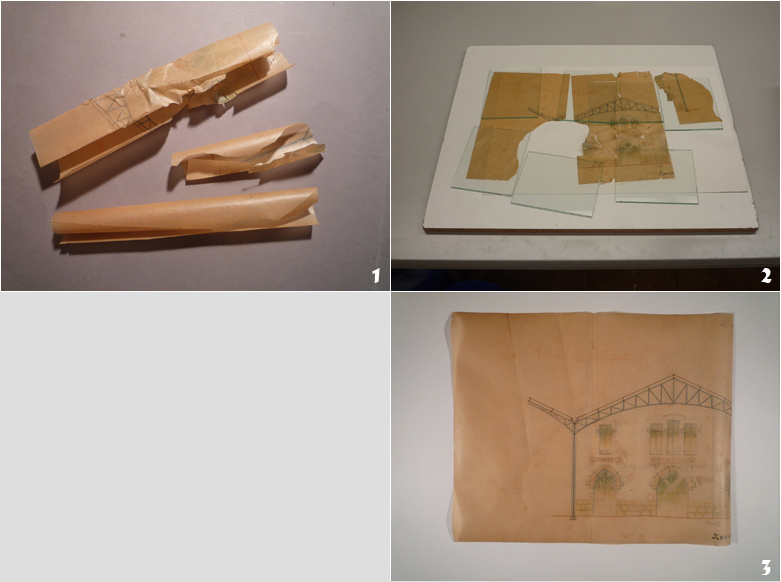 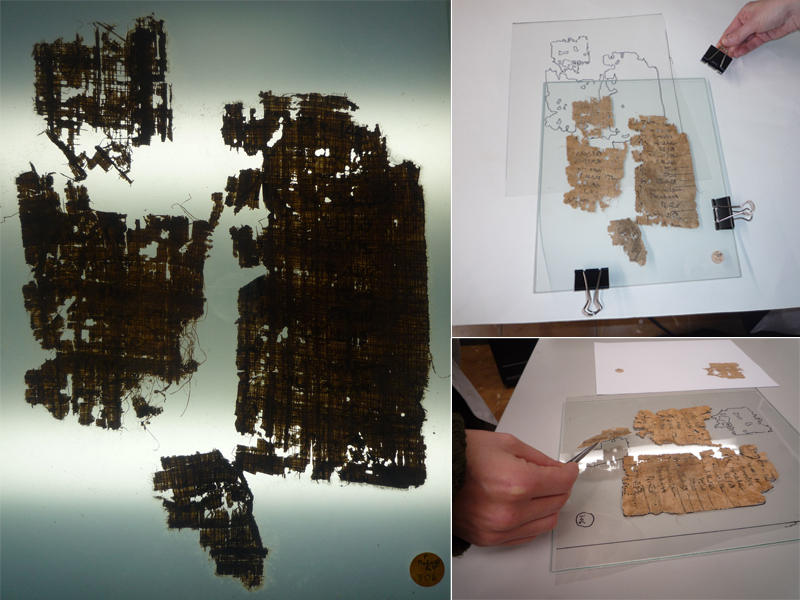 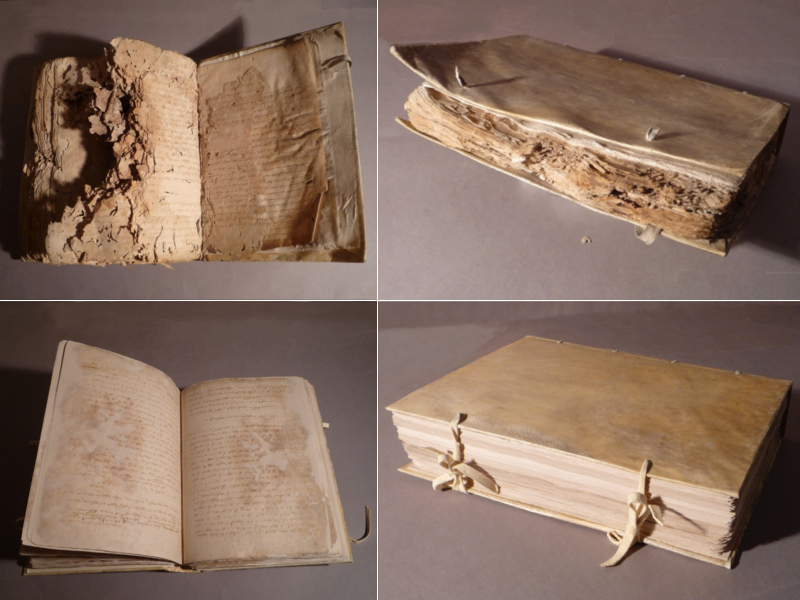 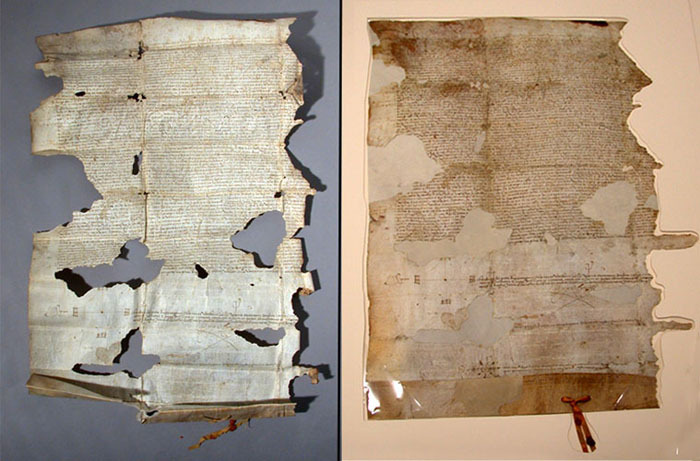 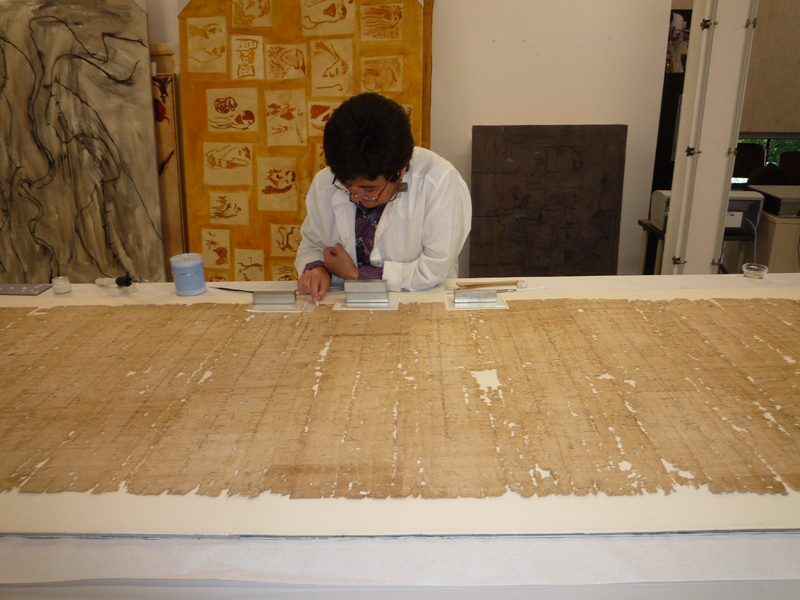 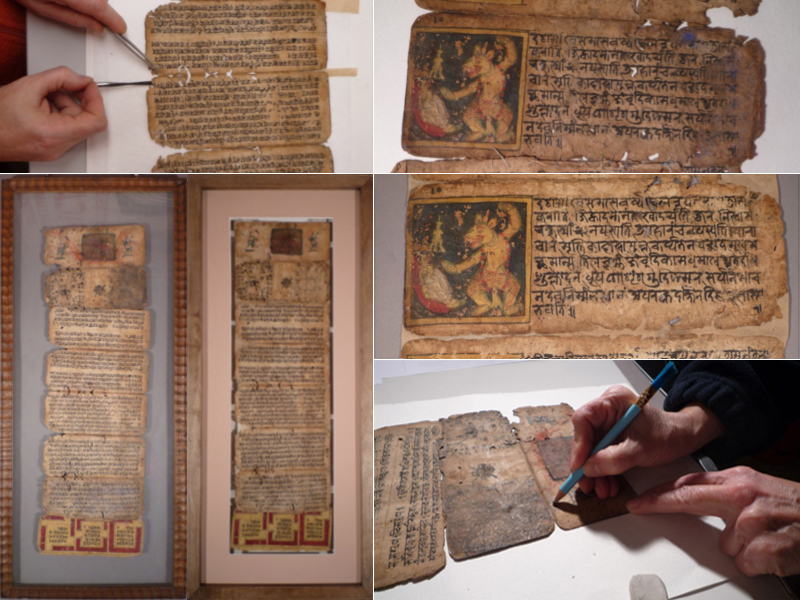 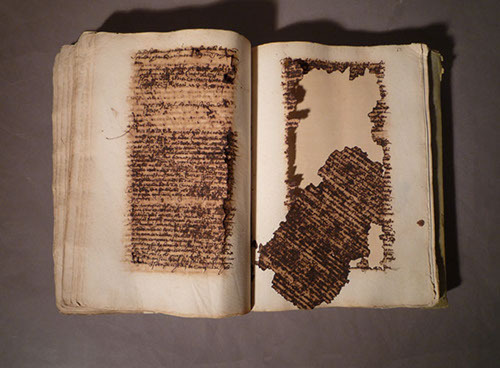 • Restoration of archive material of diverse manufacturing and formats: papyrus, parchment, manuscripts, prints, newsprints, books and bindings, maps, tracing cloth, blueprints and tracing paper, posters, photographs, etc. 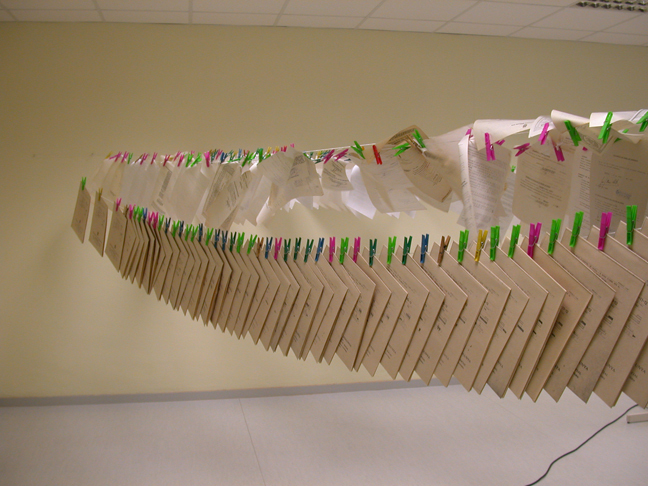 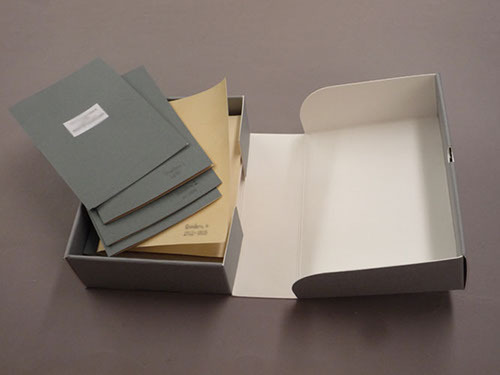 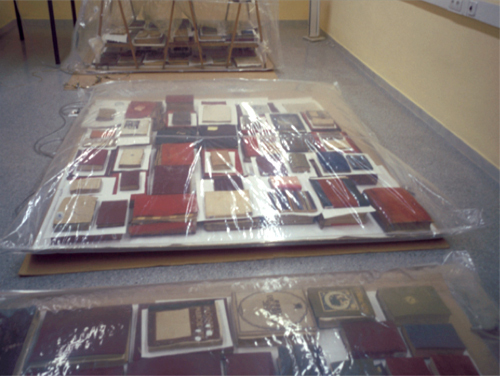 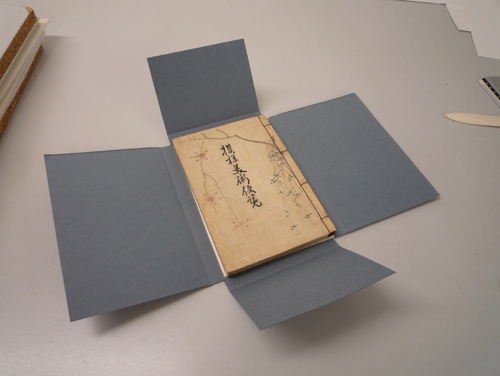 • Protection systems with conservation materials (folders, archive boxes, etc.). 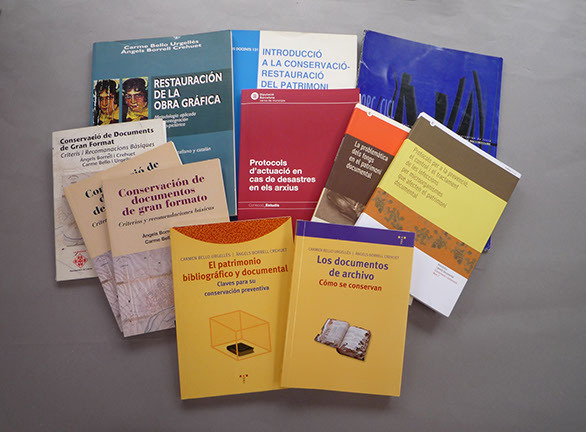 • Detailed records and reports (with photographs) of the different processes of intervention. 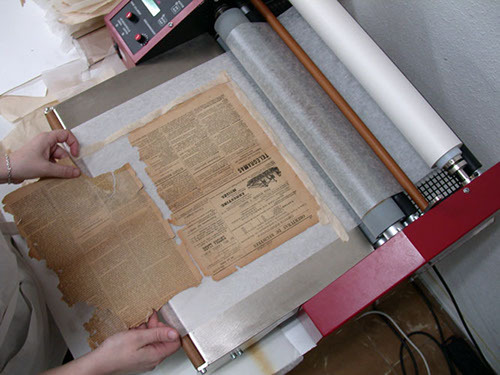 • Advice on conservation & restoration criteria, treatment of collections and document reproduction systems. 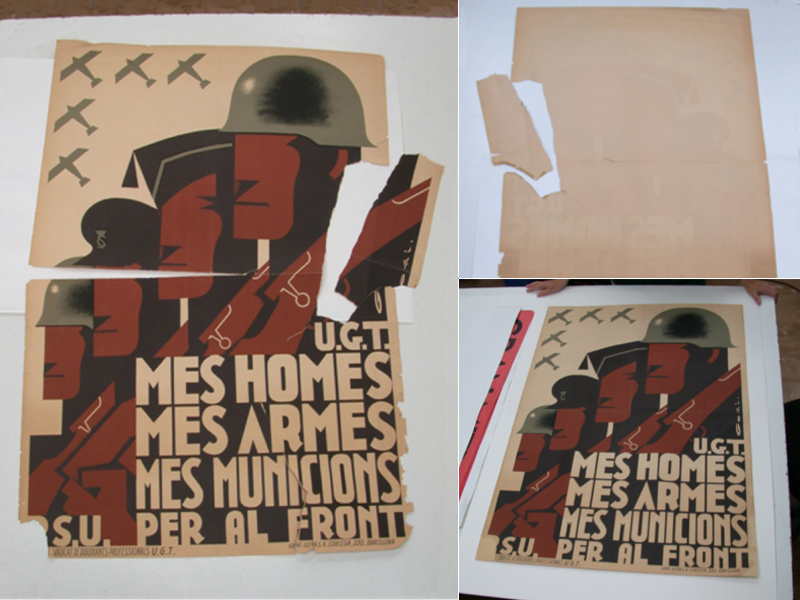 • Specialized in large format, posters, sketches and scenic designs. 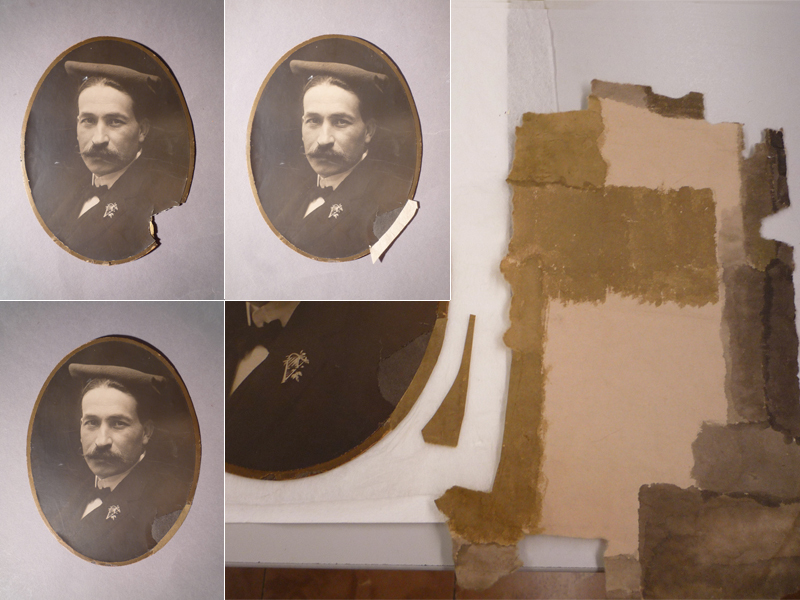 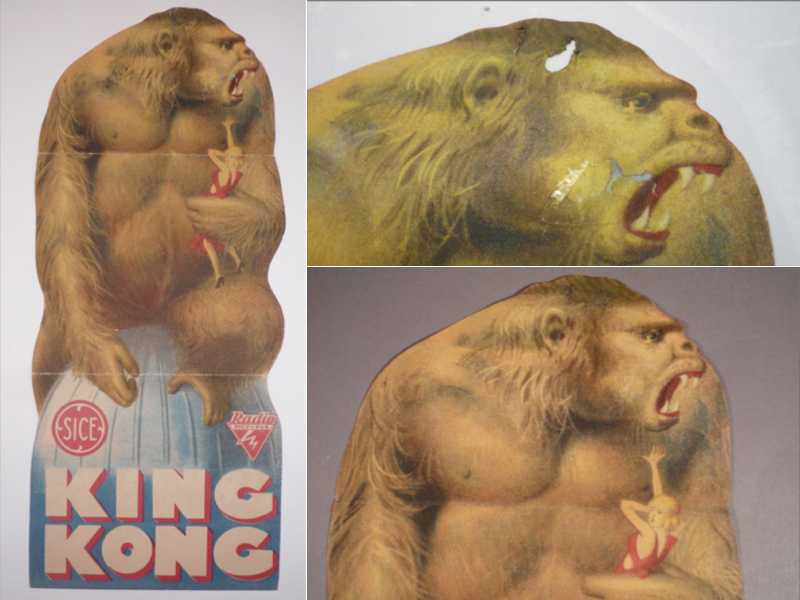 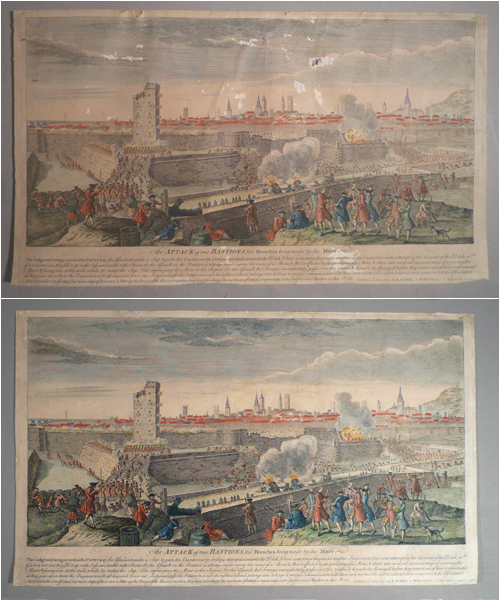 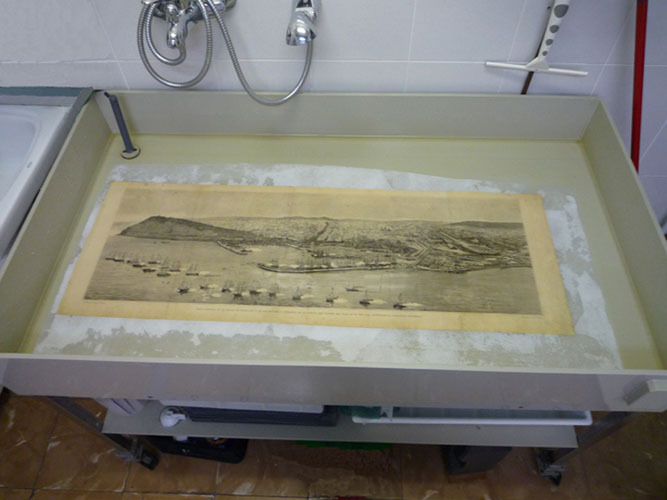 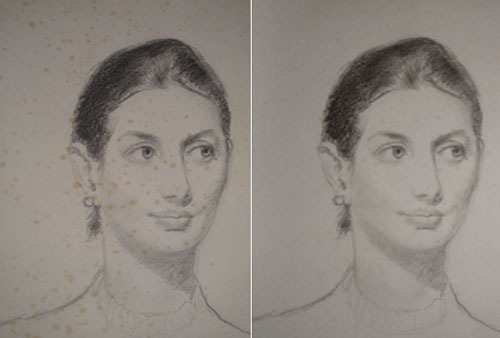 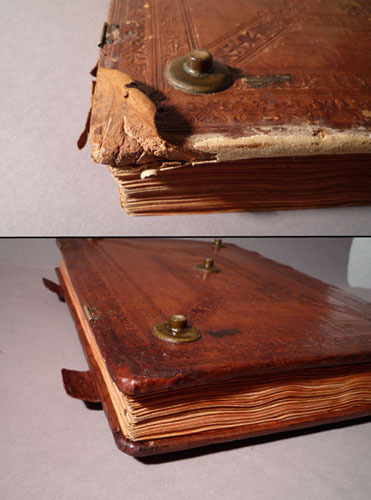 • Reports of the restoration process, including a photo report. 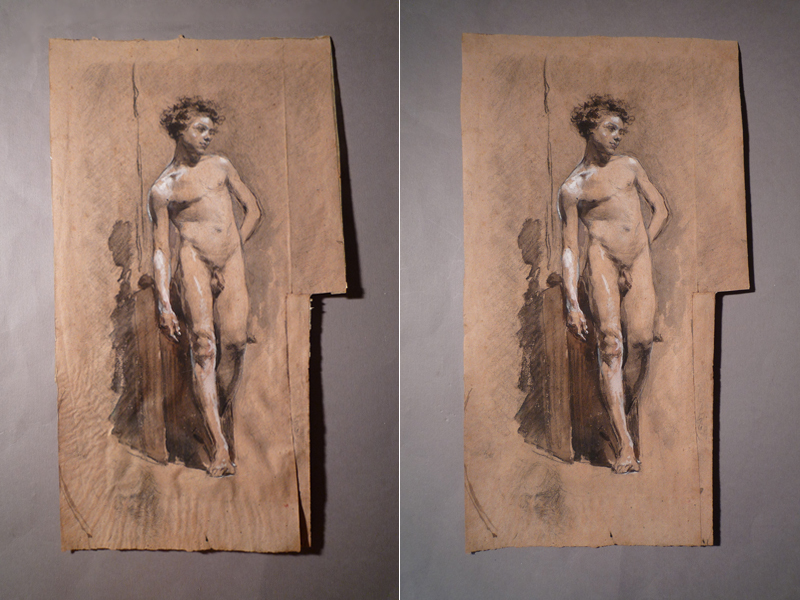 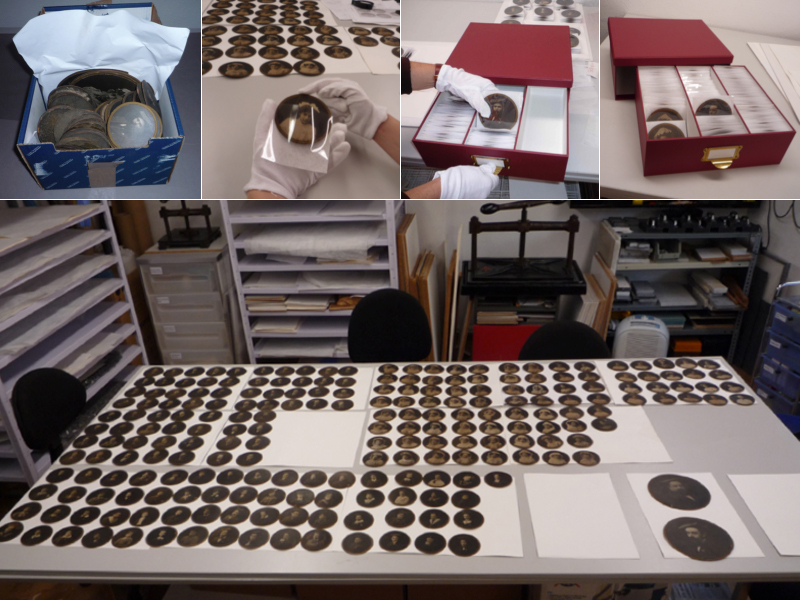 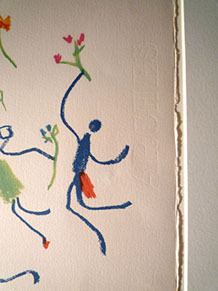 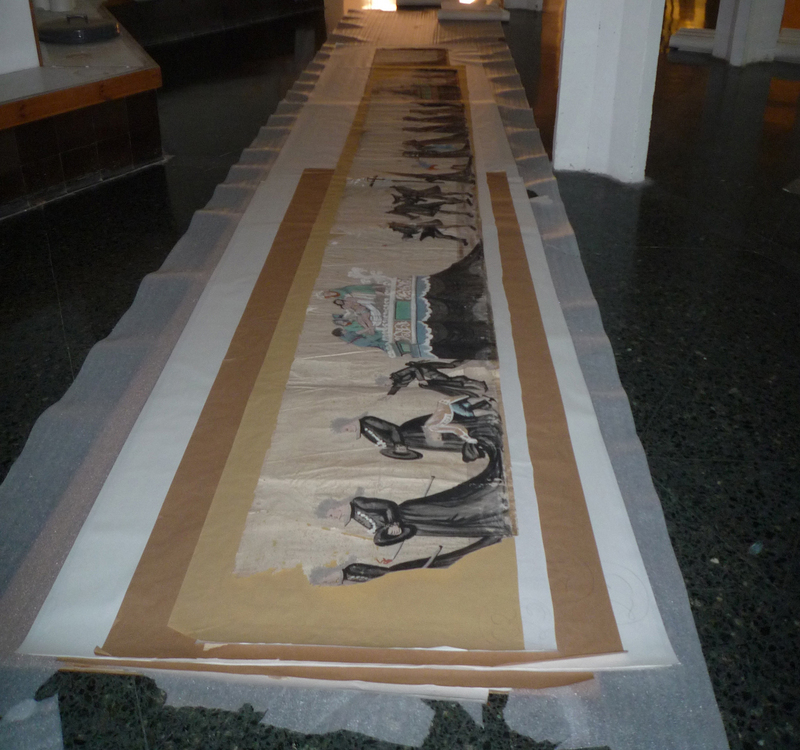 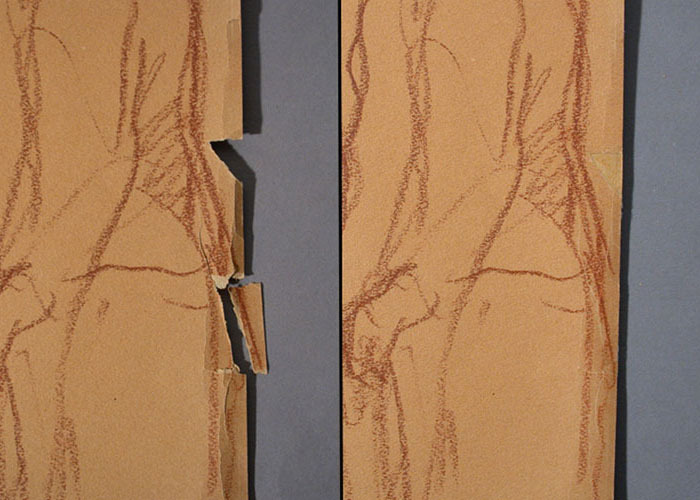 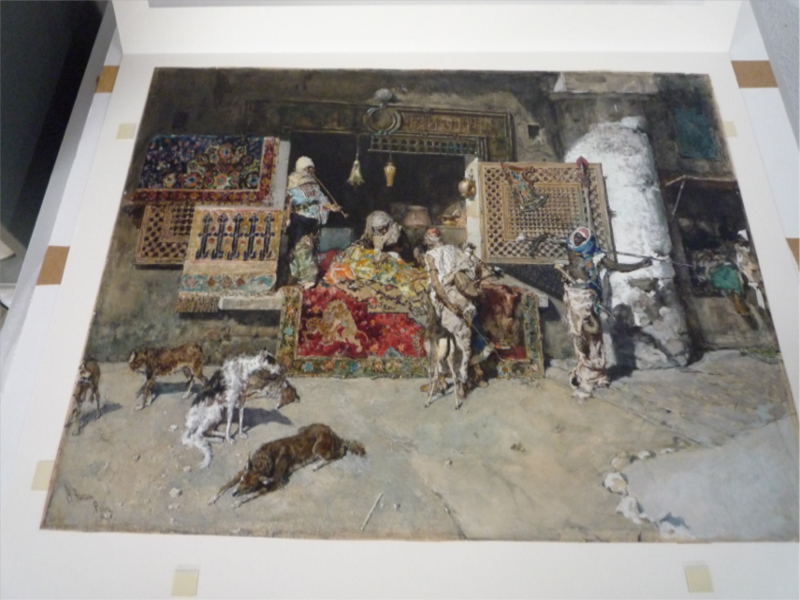 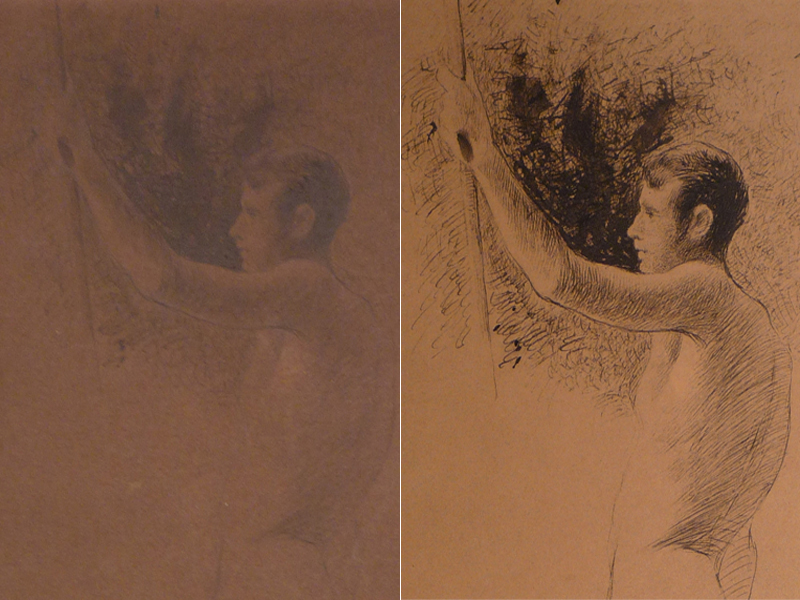 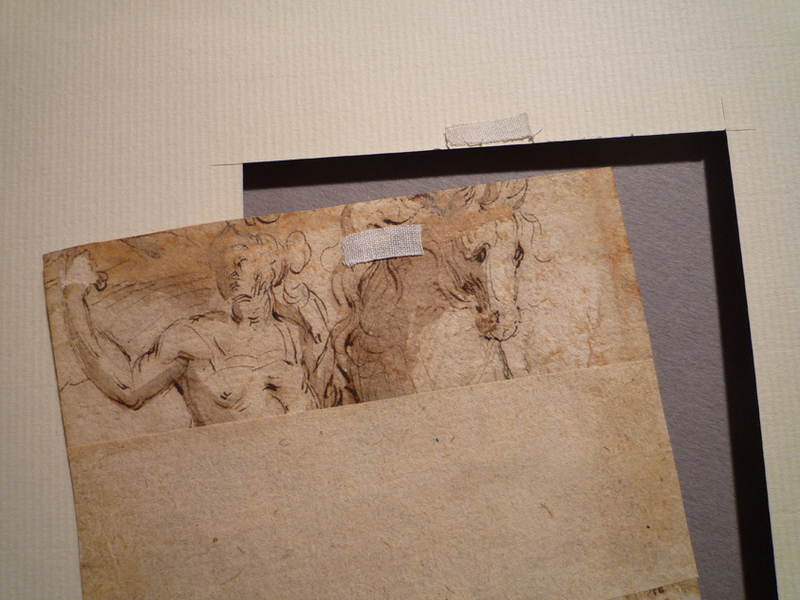 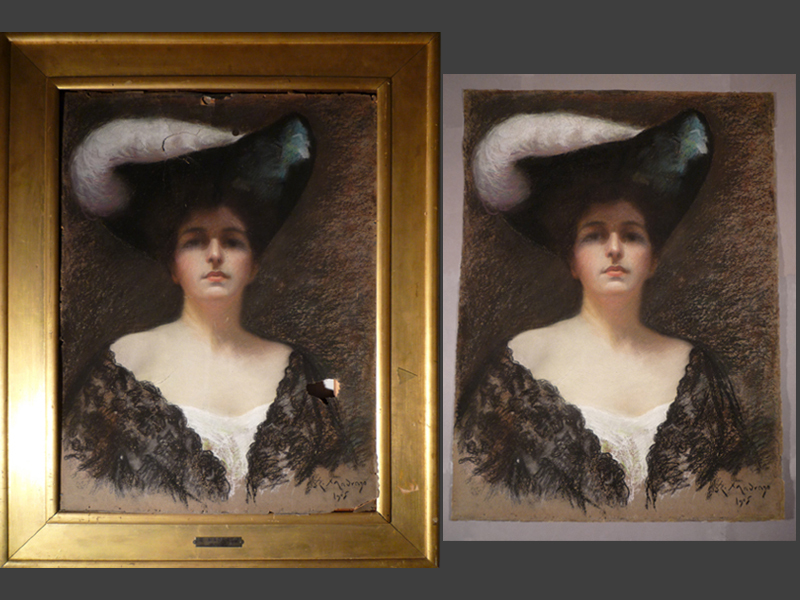 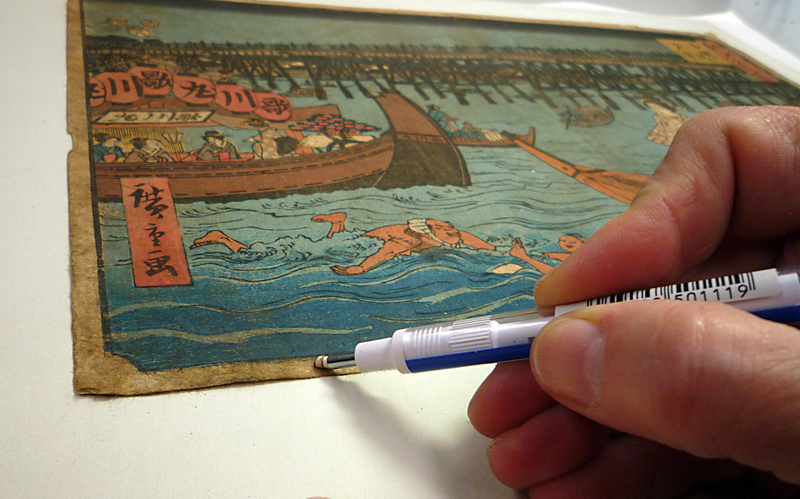 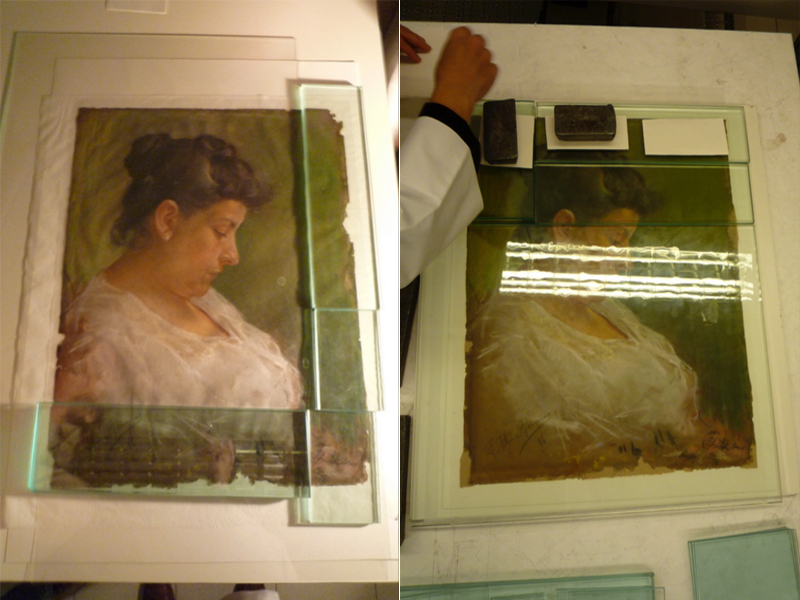 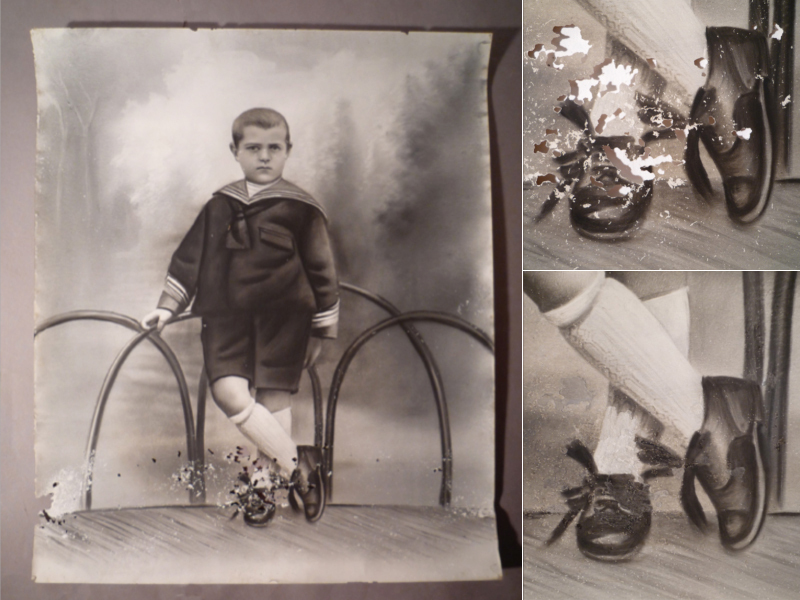 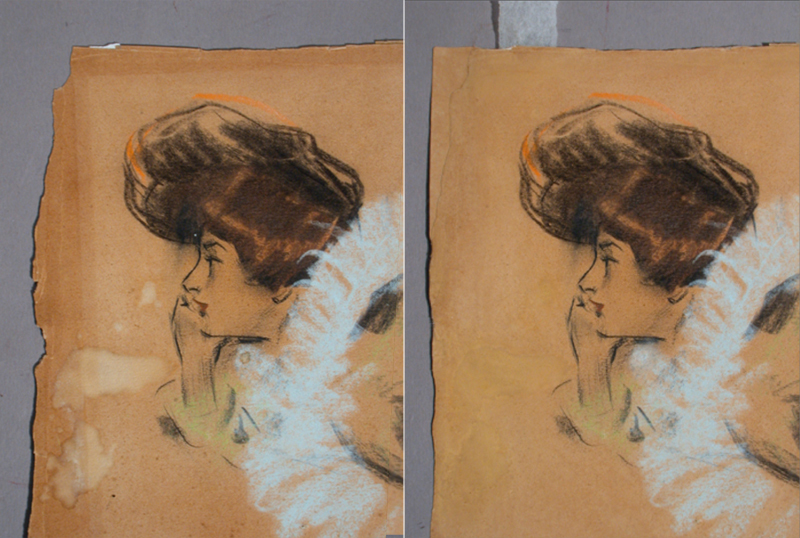 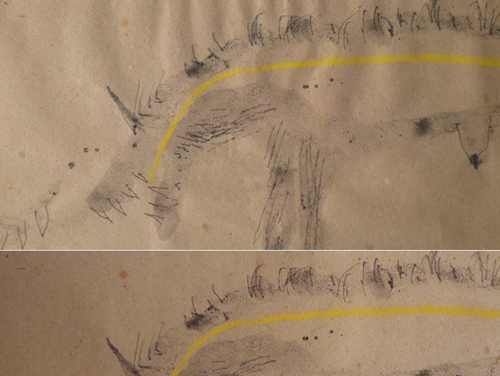 • Exhibition mounting system and framing of art works with special conservation materials. 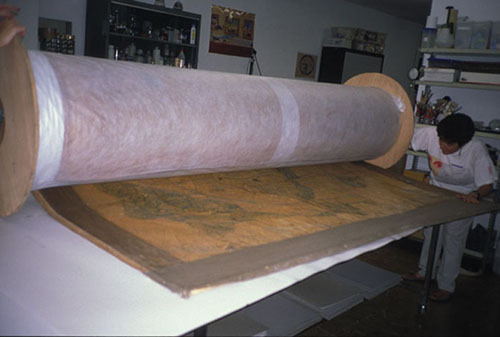 • Advice on conservation & restoration criteria, exposition, protection and reproduction systems. 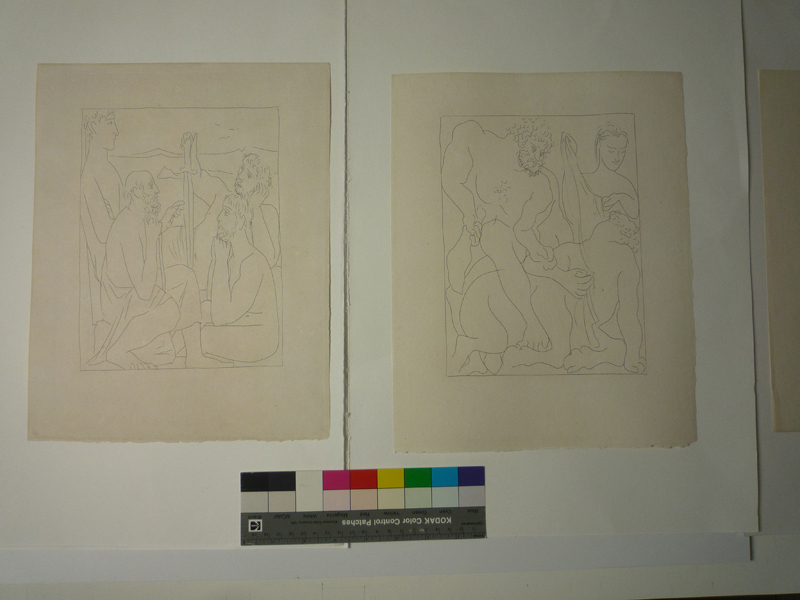 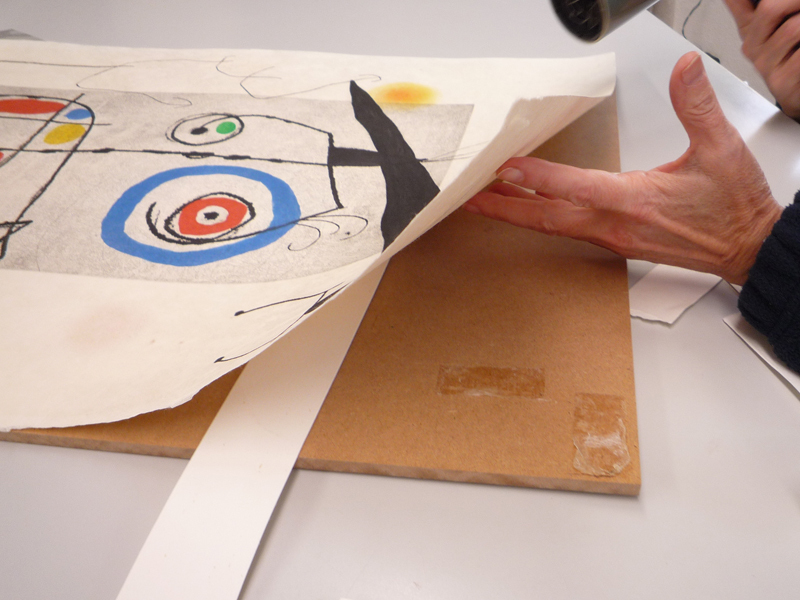 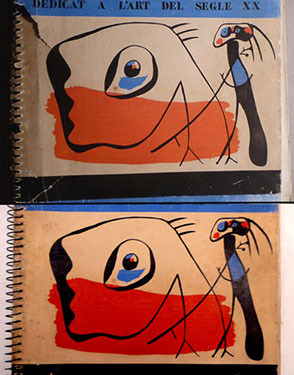 intervention of Picasso's work "The mother of the artist"
At present, Carme Bello and Àngels Borrell, directed a new collection about conservation and restoration of cultural heritage for the TREA publisher.